​Bodyguard. CCTV & electronic home protection. 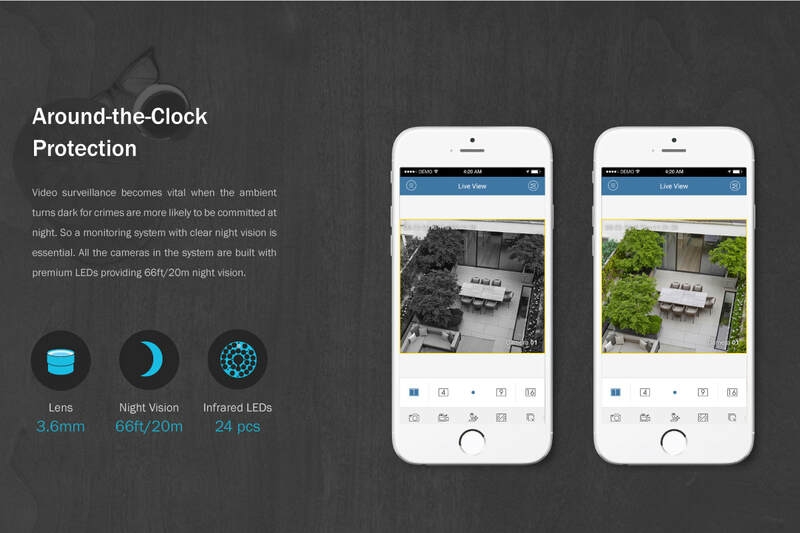 Fire, security,CCTV, home automation. A division of myelectronicstec.com based in Sheffield. Introducing state of the art CCTV & electronic home protection.. We can install a Bodyguard CCTV system in your home from just 499 pounds installed. Hello, very nice to meet you. If you are reading this you have found a team of experts with global experience in electronic protection and close and personal protection. So let's have a frank chat about your home protection and your family. Let's face it. In times past our home used to be a safe sanctuary from the outside world, a place that was secure and safe, a sanctuary. A place where you could shut the outside world away. Sadly street crime and terrorism have changed our lives forever. Once upon a time a man's house was his castle. Now drugs,crime, and terrorism have changed our world, sadly forever. Your home is now a target for criminals, drug addicts, street thugs and opportunists that stalk our streets. Never have our security forces and police been so badly stretched. Crime in the UK is now on the rise. Sadly now in 2018 only the most serious crimes are attended by police and police crime scene investigators. Often our clients report that they were told we are too busy to attend when they phoned Police to report suspicious actions. Meantime local police stations are closing down discreetly to be replaced by central buildings to save costs. Most other crimes are allocated a crime number and are then discretely filed away never to be solved. The street bobby is now a past legend. Street criminals have never had it so good with detection rates hitting an all time low in 2018. Armed gangs now operate in most large UK cities. News reports of stabbings and shootings are now a daily part of UK life. Most people would not even raise an eyebrow at such news. Unbelievably our politicians continue to argue that our Police do not need to be armed. Let's look at some facts. Only 5 percent of UK Police carry guns. That is 5 armed police officers for every 100 non armed police officers. Meantime criminals and terrorists attack us in our capital cities. Even the Police are targeted by terrorists in our major cities like London. One London gang alone in the UK admitted to importing over a 100 handguns a week from the east coast of America. ​Never before has the thin blue line been stretched. Police resources are now stretched to a point where only the most serious crimes are being investigated. Your families protection now lies in your hands as crime in the UK continues to rise. You can no longer expect dial the police and have them quick to hand. Instead you will be allocated a crime number. How to protect your family and make yourself the hard target in your street. In 1999 the security technicians at myelectronicstec.com invented a modular home protection system called Bodyguard, that also incorporated smart home automation. 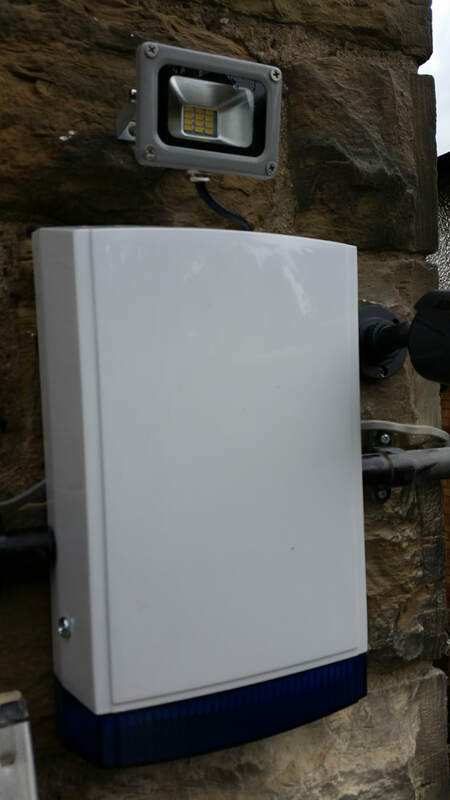 This enabled homeowners and small businesses to enjoy first class protection from the most common forms of danger at affordable prices for CCTV in Sheffield.The team at Sheffield CCTV engineers have vast experience on an international level. Our engineers have extensive experience with CCTV and electronic security. We have installed systems around the world for armed forces such as the Army, Navy, Air force, members of the Police, jails, Police stations,immigration detention centers and numerous other government entities and non government entities. We have provided electronic expertise for high profile individuals such as Australian rock band ACDC, State premier politicians. Our electronic engineers have provided solutions for numerous commercial clients such as McDonald's restaurants, Novotel hotel,Copthorne Hotel, Sheffield City council,Rolls Royce club, McGuigans winery, Swann-Morton surgical instruments, and numerous other commercial clients both here in the UK, and globally. We have now brought this expertise to Sheffield so you can enjoy CCTV and electronic security for your home or business at an affordable price installed by master installers with global experience. Take a look at what this clever technology can do for your you and your family and your business. This system was invented in Australia and imported to the UK. When security matters you need the Bodyguard standard of protection. You probably have a smoke detector in your house. Chances are it has the small battery that you keep meaning to change but never get round to, so will the battery be ready should a fire start? ​We have developed smart smoke sensors. This is how ours differs from yours. Our Bodyguard smoke alarms firstly do not use a battery, that is unless the power fails. The battery is not being used, unlike yours that uses the battery all the time. Our system also has a gentle white night light that lights up the hallway and stays lit providing a similar amount of gentle light to a candle. ​Even if the power fails it stays lit. In the event of a fire it will turn on full lighting and sound alarms even in the event of a power black out. 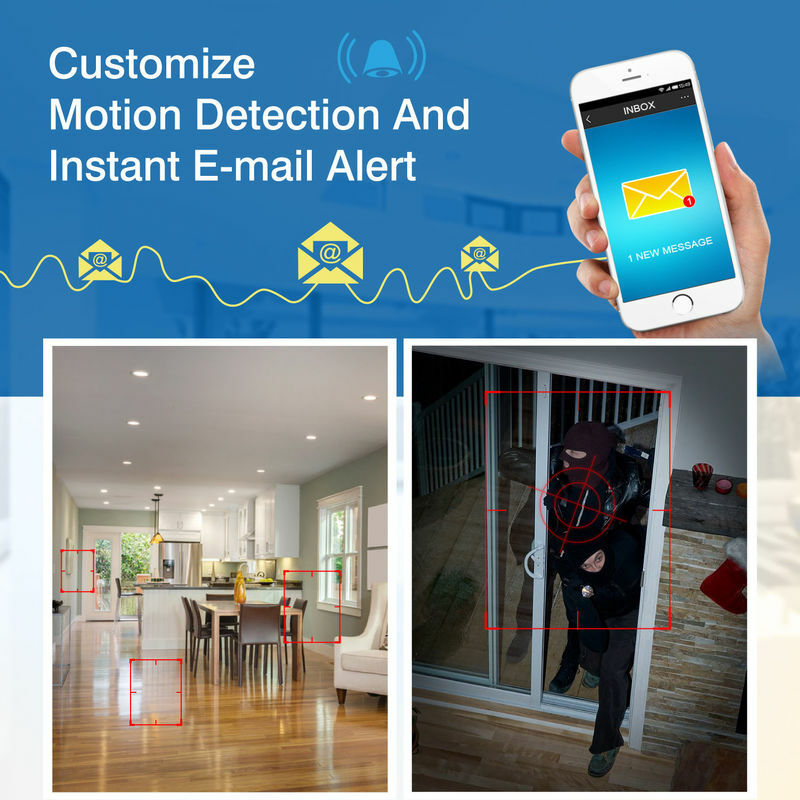 ​The Bodyguard system is a modular home automation system that can be expanded as time goes on. take a look at some of the clever options available to you. 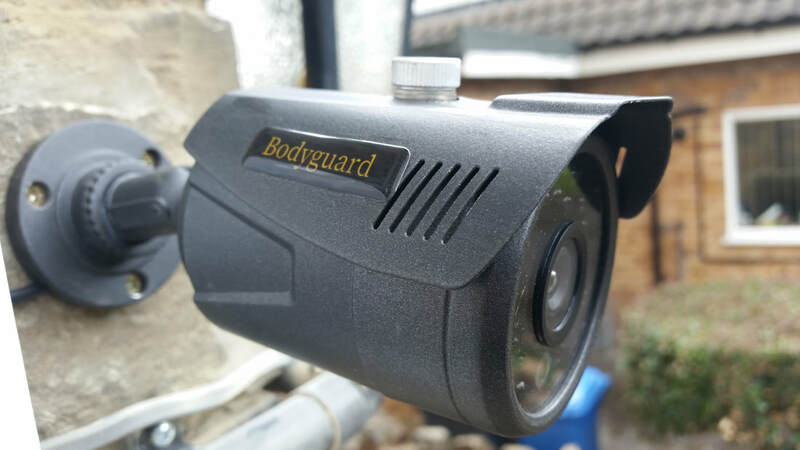 Bodyguard Groupcam CCTV lets you see who is at your front door, or who is on your property. Even from across the world on your smart phone, while on holiday thousands of miles away from your home. ​You are watching a scary movie on TV, its very late. Just as the girl screams in the movie someone knocks on your front door. Your heart skips a beat. It's a loud unfamiliar knock. It makes you jump. This is where our Bodyguard group cam system comes in. You pick up your TV remote, flick a button. There on your TV is your next door neighbour. ​ Knowing its safe you open the front door to find they have locked themselves out and they want the spare key they gave you months ago. ​Group cam enables you to have one or more cameras channeled through your TV or shown on a monitor. We can even let you view it from a smart phone in another country. ​This is all possible with the Bodyguard home automation system. To find out how affordable this world class protection can be call now and book an appointment with a member of our team. We will then arrange to discreetly visit your home in an unmarked vehicle and survey your needs. Our solution will then be designed and may involve CCTV covert or overt. An electronic security system installed. Home automation or indeed a combination of all of the above. The Bodyguard system has an option for emergency lighting and power. It is well known that our power grids are starting to struggle to provide the power we and in the not too distant future it is likely that we could start to experience major power blackouts. ​That is because we are not building new power stations, and the ones that are existing must be decommissioned very soon. Mean time we continue to use more and more power. Our population is also increasing in the country. Very soon this could mean power blackouts. Industry experts have warned that one bad winter will see millions of homes without power. ​The technicians at myelectronicstec.com have engineered the Bodyguards home system too provide around 40 hours of back up lighting in the event of a power blackout. It can be also engineered to provide power for critical devices for medical use like pumps etc. Imagine a home that could think for itself. You leave the restaurant with friends. It has been a lovely night but as you leave you find the weather has turned fowl and you now face a howling angry storm. Fortunately your taxi is right outside. Within fifteen minutes you are home. As you pull into your drive way you are greeted by warm garden lighting turned on by your Bodyguard home automation system. As you walk down the side of your home LED brick lights, light your way, also turned on by your Bodyguard home automation system while you have been out. You put the key in the door and the house is gently warm. Your Bodyguard system sensed the outside temperature and decided to warm the house as you forgot to turn on the heating. ​As you open the key cupboard to put your keys away it even tells you the current outside temperature. This is all done with our Bodyguard home automation system. Party inside HMP complete with drugs and home made vodka. Prisoners pose for a facebook picture. NEW SUPER DRUGS ON THE STREETS AND INSIDE JAILS WILL SEE CRIME RAPIDLY RISE. It seems that every week we pick up a newspaper and read of yet another shooting in our cities and towns. The underlying problem is often driven by new super drugs. Gangs are now using younger people to do the dirty work of senior gang members. Kids as young as ten are used as they cant be prosecuted the same way as an adult. In London kids as young as 12 who are gang members use and transport guns and drugs for the older gang members. Often the younger gang members will need to prove themselves by initiation to gain membership through the ranks. This might be by mugging an OAP or snatching a handbag while on a scooter or often stealing a mobile phone from a person not paying attention to their environment. Often these young gang members as young as ten have been brought up to not respect authority. They are often almost feral . Having never feared school masters, Police, or parents. So what changed these kids? In 1970 kids who went to school were told to obey teachers, pay attention and respect the law. Discipline was the norm. If you stepped out of line you were caned by a headmaster. Six strikes across an open palm was the norm. Out after school you soon learnt to respect the Police. If the local bobby on the beat caught you up to mischief they would often clip you around the back of the head and deliver you home to your parents. Often this would also result in more discipline from a stern father figure. Simply put kids brought up in the seventies had respect and knew what would happen if you showed disrespect to a teacher, parent, or Police person. As these kids grew up they also feared jail so tended to respect society more than modern children do. This young generation would not even think of talking back to a headmaster or Police man. So what does this lack of respect mean to you a modern member of society in 2018? DO OFFENDERS BENEFIT FROM JAIL TIME? Criminals have now spawned a multi million pound industry flying super drugs called spice into jails with drones. Jails were the last bastion of discipline society had as a deterrent .This was societies last big threat to keep the bad guys in order but even jails have changed now thanks to super drugs and drones. ​In the seventies jails were tough places to be. No television, no radios, and a regime run by ex Soldiers. Fast forward to 2018 and modern jails have become bad boys clubs. Prisons have become rife with new exotic synthetic drugs flown over walls by drones. This new drug is called spice. Security staff hide away in secure lock down area while the criminals rome around, party, and play pool. They even blazingly post party pictures on facebook just to show who is in control. Drones being flown by criminals flying spice into jails have seen jails become out of control danger zones where even the security staff are scared to walk through while on duty. It has become so bad that recently private jails have been taken back by the government and declared as out of control danger zones. 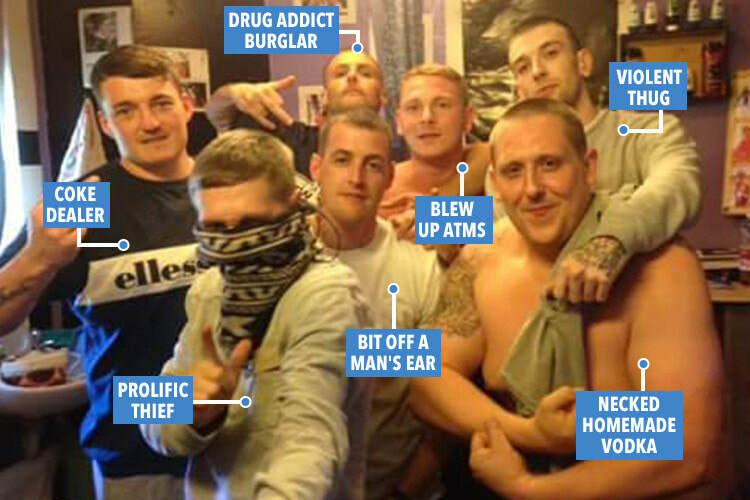 ​When offenders get out of jail they start the cycle again with brand new street cred. Often they leave jail with a brand new synthetic drug habit called spice and new skills learnt in jail. Out in the suburbs this translates to increased break and enters & robbery as the end drug users have to fund a lifestyle that needs constant cash. We are now seeing shops on the high street and suburban homes becoming the soft targets of street criminals and gangs. Even trades people in their white vans have become street targets. Most street crimes reported to police will now not be attended and investigated by a uniformed officer. In stead a Police crime number will be allocated to your report as Police resources are directed at only the most urgent rimes being conducted in real time. If your break and enter has already happened chances are you will be given a crime number when you call the Police. The chance to collect forensic evidence soon passes and is often lost forever. All of this could make a real scary movie called apocalypse 2018 UK, but sadly all of the above is true. Welcome to modern UK 2018. THE MESSAGE IS CLEAR. YOUR HOME NEEDS TO BE A HARDER TARGET THAN YOUR NEIGHBORS TO DETER CRIMINALS. Given a choice most criminals would prefer a home that is a soft target. No outside lights. No alarms.No CCTV. No dogs. No home automation. Call us today to see how affordable electronic protection can be. Call and speak direct to an expert on 01143605355. Together we will then plan a system that fits your budget and turns your home back into a safe secure sanctuary from the outside world. Bodyguard driveway alert. NB grey cable in picture was an existing light cable. Bodyguard Drive way alert foils van Thieves. Recently we had a customer contact us from Dore Sheffield.He was targeted by a professional car theft gang. His late model Golf GTI hatch was locked securely on his driveway one Sunday night this year in 2018. During the night his car was electronically unlocked by a code capture device available on Ebay. The gang then stripped his Golf GTI. They took off the spoiler, bonnet, grill, wheels, and front panels. This was done in a normal detached house in Devonshire Rd S17. Despite the fact his driveway is surrounded by neighbours homes with windows overlooking his house no body saw or heard a thing. They even disabled his outside light by cutting wires to it. We attended and suggested a two fold approach. One we fitted an external camera with infrared capability allowing it to see in the dark. This is fitted to a digital recorder that can have the image seen from anywhere in the world from a smartphone. Now you can view Bodyguard CCTV on your smartphone or laptop from across the world. View your pets and home 24/7 while you are away from home, or away on holiday. Bodyguard CCTV systems can be seen on your smart phone anywhere in the world where you have access to the internet. Allowing you to watch your home 24/7. If an intruder sets foot onto your property we can send you a photo anywhere in the world with internet access within seconds. You can look around your property and even speak to pets from your smartphone.See diagram below. ​Example of Bodyguard CCTV image seen on your smartphone while you are away overseas, or at work. 24/7 protection. ﻿Power blackouts are coming. Will you be ready? Contact us today to request a free quotation.